I need the following. If anyone has a source please let me know. 12 English Pennies all with the same date. 12 English Half Pennies all with the same date. 12 Australian Pennies all with the same date-- I'm looking for the older ones with a Kangaroo on one side. I've contacted two coin shops and neither one had any. A few decades ago coin shops used to have buckets of them. Literally. I remember going through one of the buckets and getting a few dozen all with the same date. Apparently that is no longer the case. 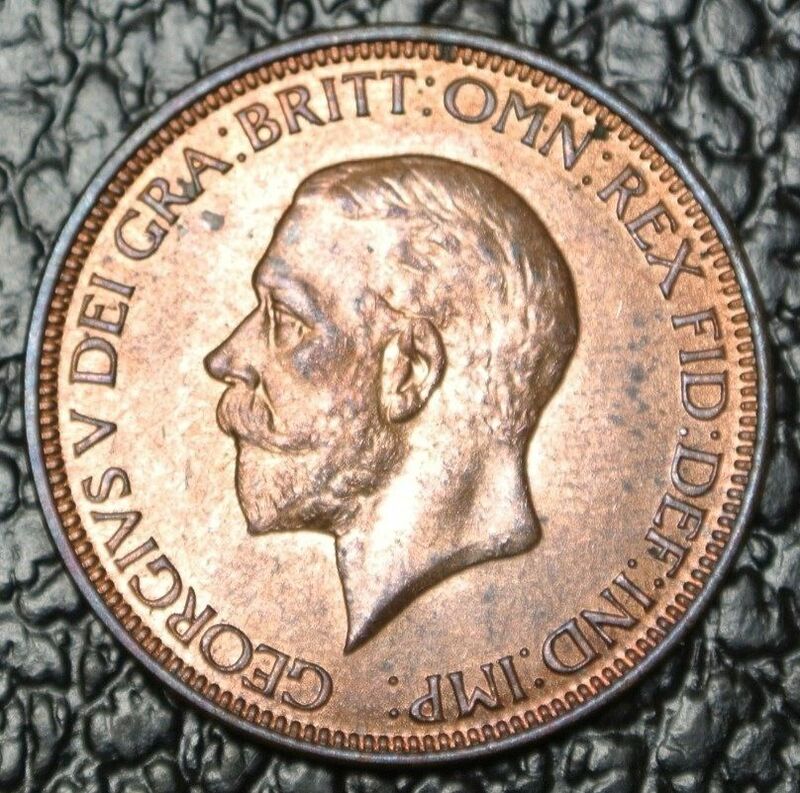 And while I'm on the hunt, are there any suggestions regarding coins from other countries that you've found useful? If you can get the old UK silver half crowns and the old UK crowns (both from before they changed the metal content) - they are lovely coins. I’ll have a look around for Australian Pennies Steven. PM Sent. Bless You! If the guy has 12 English Half Pennies all with the same date I'll pay you for those as well! They don't have to be the same date as the Pennies. That is so kind and thoughtful of you, Evan! As soon as I receive them (already shipped to me) I will let you know, via PM. I can't imagine that it would cost more than a dollar or two to send them to you. With that said... I'm sure that I am not the only one curious about the routine you are working on. Especially given your reputation as a card guy. Steven do you have s preferred date for the Ausstralian Pennies or just all the same? 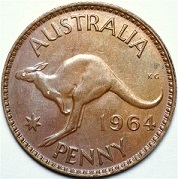 Got 12 1952 dated Australian pennies. Guy at local flea market. charged me 18Au$ which is us$14. Have bought them not sure what postage is. For you Steven. Have PMed you. This kind gesture, once again, shows the true heart of the Magician’s Forum. You guys make me proud to be a part of this community! Wow! I'm amazed at the kindness.. I really am. I sincerely appreciate the effort and willingness to help. 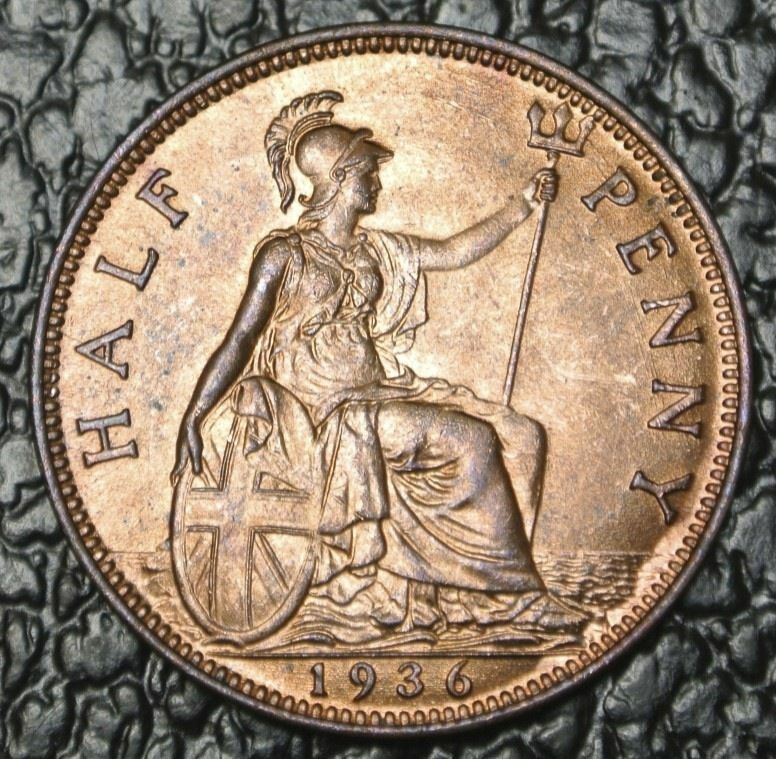 Ebay has over 25 "Buy it now" items from N. American sellers for UK Half Penny 1936. The classic pre-war design should run you about $4/each shipped. Ebay has over 15 available for about $5 shipped. Page 35 of Stars of Magic. Not necessarily the exact trick, but the presentational idea. This idea can be used for any trick in which a coin is "hopping" from place to place. I just received mine from Gareth but they're polished now so getting a picture of a shiny coin is problematic. Nowhere in Stars of Magic does it suggest to use these coins, but a reference is made to them. I find that strange. But now I have a dozen so I'll be experimenting with ideas that utilize them. Telling the story from Stars of Magic doesn't make sense to me unless you're doing the trick with these.